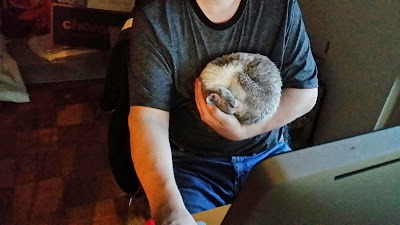 I am saddened to announce that my little girl Maus passed away this morning. Recently we discovered she developed a brain lesion. She was ten years old. After the diagnosis, she went quickly. She died at home doing what she loved most, laying out by the balcony door in the sunshine. CH. 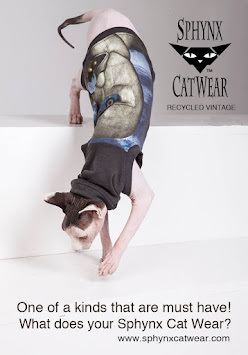 Roseric Wavemaker was born a Bi-colored gray and white Cornish Rex female on March 11, 2004, at the Roseric Cattery in Glen Burnie, Maryland. The cattery nicknamed her “Midge,” short for midget because of her tiny size. 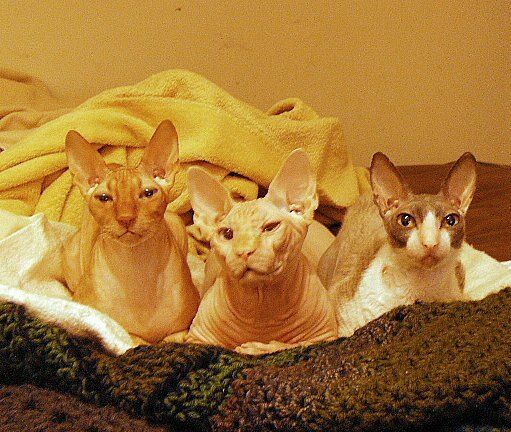 She was the last to be born in a litter of four. She never weighed more than 5.5 pounds or measured beyond 12 inches. 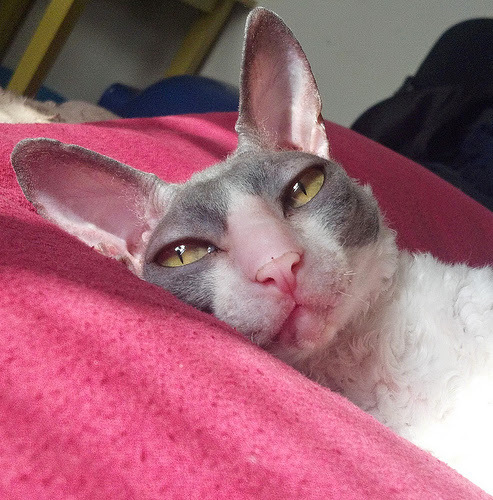 Though she was small, even for a Cornish Rex, her personality and curiosity were immense; said by those who knew her. I adopted her on July 2, 2005, by Carol “Cho” Meir of Takoma Park, Maryland. I named her “Maus” the title of a graphic novel series by Art Spiegelman, about the Holocaust. 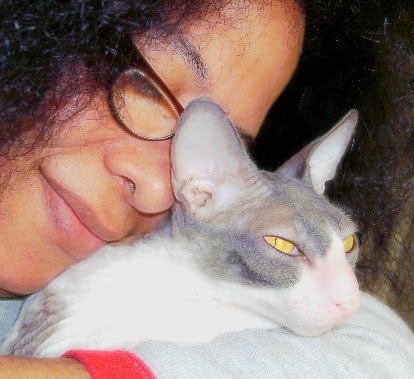 In May of 2005, I visited a cattery to consider taking a Cornish Rex home to live with me. I had decided to take GC Roseric Jamaican Me Crazy (Jake). The day I came to complete paperwork and bring Jake home, I sat in a chair, and a tiny gray/ white kitten decided to inspect me. She jumped up on the couch, sniffed and looked me over, and barked at me twice. She decided I was okay and then walked onto my lap and fell asleep. I fell in love instantly and took her home with me as well. For nine years this little cat filled a huge hole in my heart. Every day she made me laugh and smile. I never knew I could feel that way about a pet. Maus taught me lessons in patience, affection, and acceptance. Among many of life’s joys, Maus loved to eat chicken and turkey, ham and shrimp, but most of all she enjoyed the sunshine, playing fetch and unwinding balls of yarn. My roommate, DJA came to love her too. 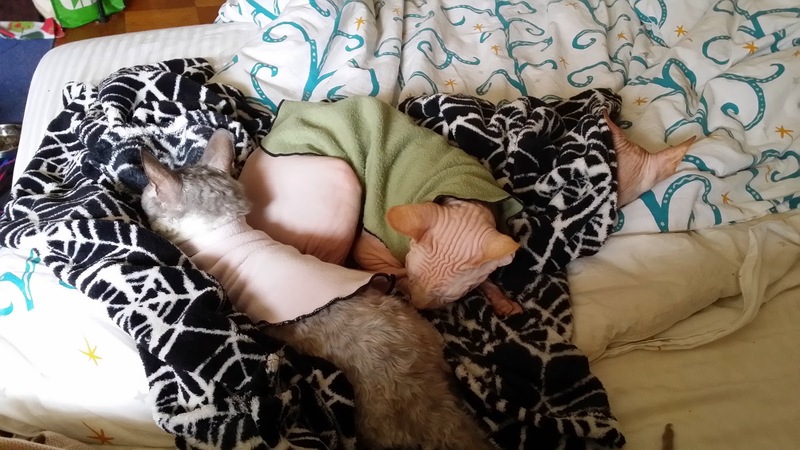 She would make him hold her for hours causing his arm to go numb. DJA called her “Kitten” and “Minky Paka” (monkey cat in Swahili). Maus also enjoyed riding in the stroller around the neighborhood. She felt the grass under her paws, the wind in her face and saw the world beyond our front door. Maus and my other two cats were often seen walking around Takoma Park, our neighborhood. Maus was on her way to becoming a fashion icon. Her image showed in advertisements in Spain and Japan. 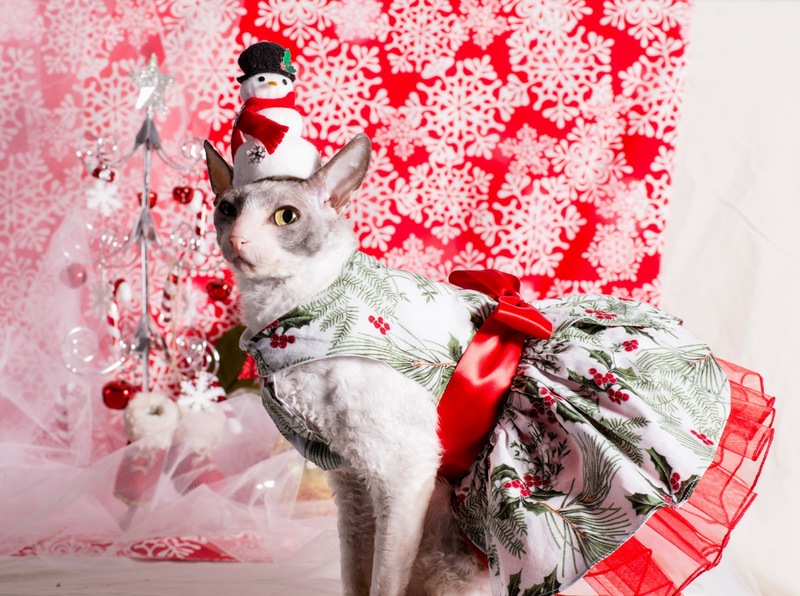 Her best image has always been in our Holiday Card given to friends. Everyone always said Maus was the cutest cat they'd ever seen. I agreed. Though Maus' s death is hard for me, I'm comforted by my memories of how she lived life and how brave she was in the end. She was truly unique and loved by all who came in contact with her. You are my most adored angel. I love you little girl, and I hope you knew that. I'm so sorry for your loss. Maus knew love with you and that love will live on. We are so very very sorry. Maus was well loved.